Thank you for booking your serve(s) or other services with us! Your transaction has been completed, and a receipt has been Emailed to you. You may log into your account to view details of the transaction. Please click the link above and send us an email, just to touch bases now, so we can send you a PDF scan of your affidavit before mailing your original after the serve, or otherwise communicate with you about the work we’re doing for you. 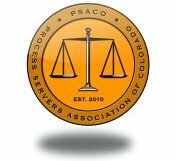 COCPS - NAPPS & PSACO "Colorado Certified Process Server", with well over an estimated 10,000 cases worked since 2006! A leader does the right thing. Copyright 2006 to Present - Denver Process Servers, LLC -- Colorado Process Servers™ -- All rights reserved.